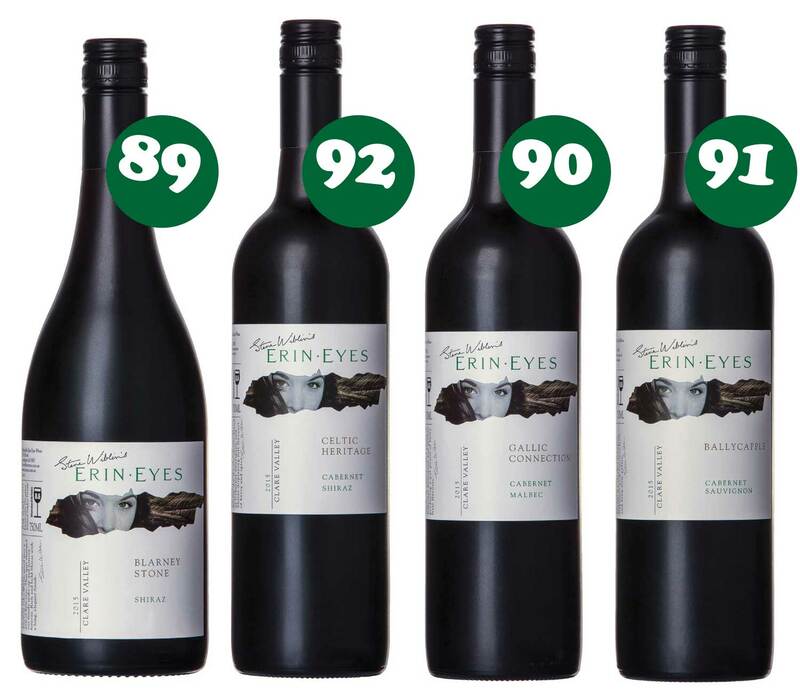 The 2018 edition of the Halliday Wine Companion has been released and Steve Wiblin’s Erin Eyes is one again listed as a 5 Red Star Winery! 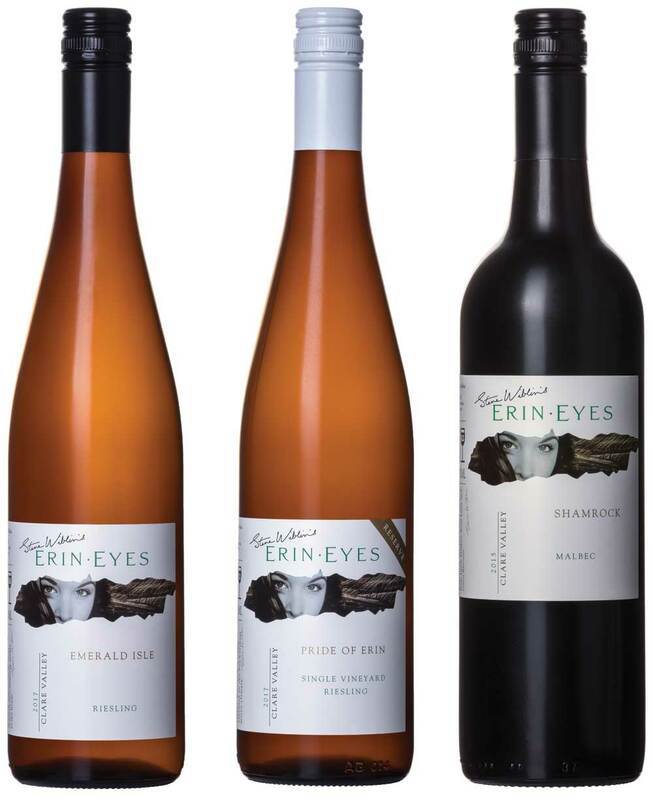 Erin Eyes 2016 Pride of Erin Single Vineyard Reserve Clare Valley Riesling – 95 PointsThe single vineyard in question is in Penwortham. This adds another level of flavour to its Emerald Isle sibling, although the actual characters are similar. A delicious riesling to be sure, to be sure, but it’s a question of swings and roundabouts. Erin Eyes 2016 Emerald Isle Watervale Riesling – 95 PointsBright straw-green; gloriously fresh and pure, lime and lemon joined by a touch of Granny Smith apple and, more importantly, crisp acidity on the long, perfectly balanced breezy finish. 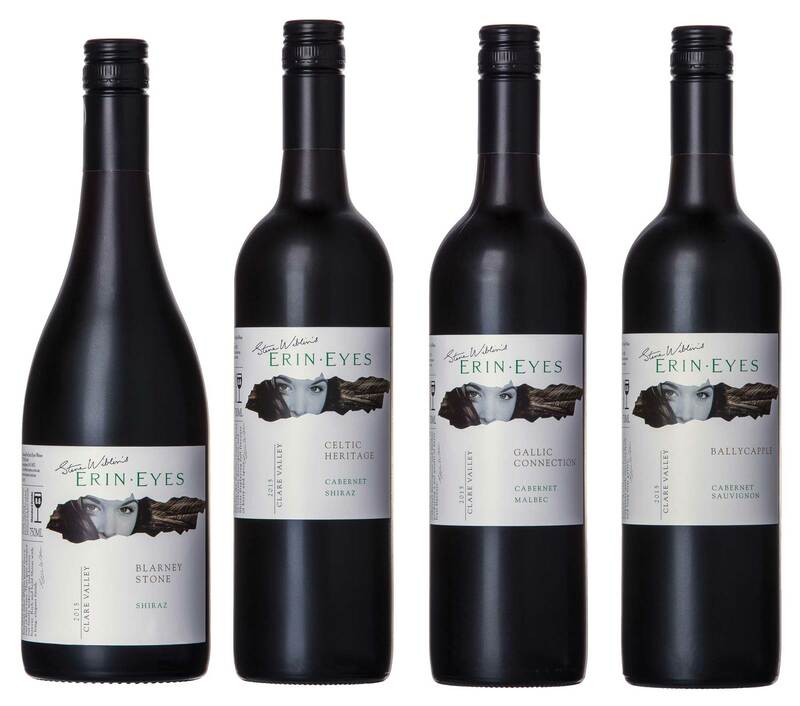 Finely detailed tannins assuage a phalanx of dark fruit flavours, coffee grind oak and some barbecued meat. Corpulent, with a lift of bitter chocolate on the finish. This will please many. 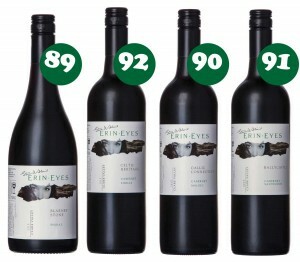 This is a typically Aussie blend of 51% cabernet with 49% shiraz. Corpulence meets a degree of finesse, manifest in finely hewn grape tannins and sensitive oak handling, serving to corral the wave of powerful fruit flavours into a moreish whole. 75% cabernet sauvignon and 25% malbec, this is a large-framed wine resoundingly stamped with the Clare’s minty riff. Bitter chocolate, black cherry, currant, sage and cedar are towed along by a trickle of acidly through the wine’s dense mid-drift, all framed nicely by oak supports. Mint, cassis, bouquet garni and potpourri of verdant herbs give a menthol lift to the dark fruited soul of this full-bodied cabernet. 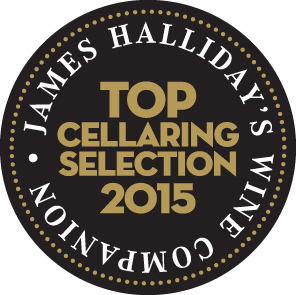 Oak supports keep the beast at bay, taming the wine’s inherent richness. Bright, clear crimson-garnet; a delicious cherry-filled wine with a floral bouquet and a supple, lively and long palate. The handling of sangiovese’s tannins is perfect. Scores for its hedonistic qualities. 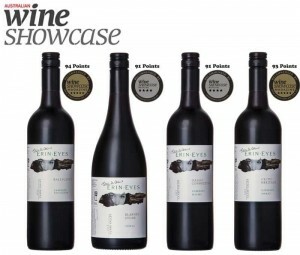 The Australian Wine Showcase Magazine has awarded Steve Wiblin’s Erin Eyes 2015 reds with a Gold with 94 Points to ‘Ballycapple’ Cabernet Sauvignon, Silver with 91 Points to ‘Blarney Stone’ Shiraz, Silver with 91 Points to ‘Gallic Connection’ Cabernet Malbec and Gold with 93 Points to ‘Celtic Heritage’ Cabernet Shiraz. 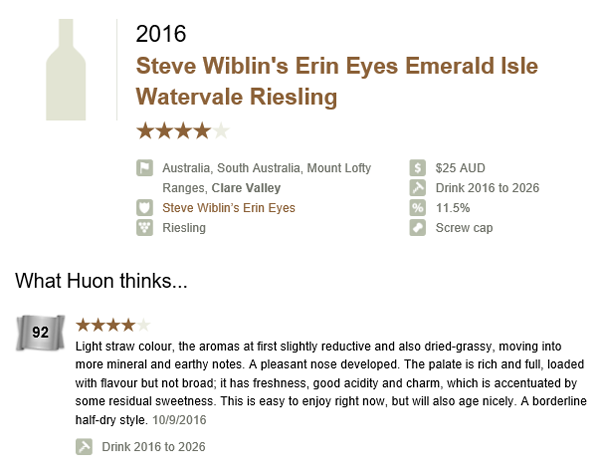 The Halliday magazine has reviewed both of Steve Wiblin’s 2016 Rieslings. Each receiving 95 points! 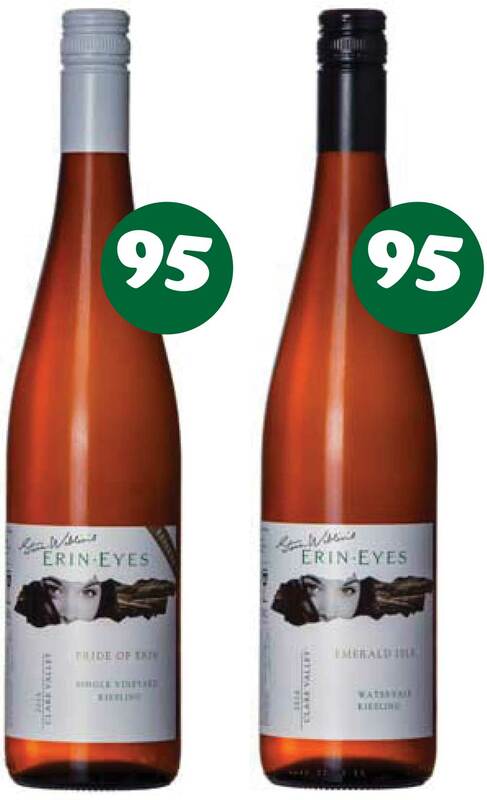 Steve Wiblin’s Erin Eyes Pride of Erin Reserve Riesling has been awarded 5 Stars and 95 Points and his Emerald Isle Watervale Riesling has been awarded 4 Stars and 92 Points from Huon Hooke. 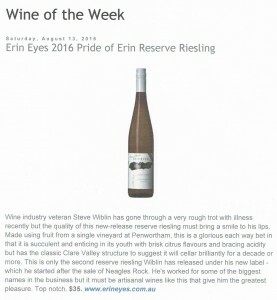 Winsor Dobbin, the wine, food and travel guru has reviewed Steve Wiblin’s 2016 Pride of Erin Reserve Riesling. 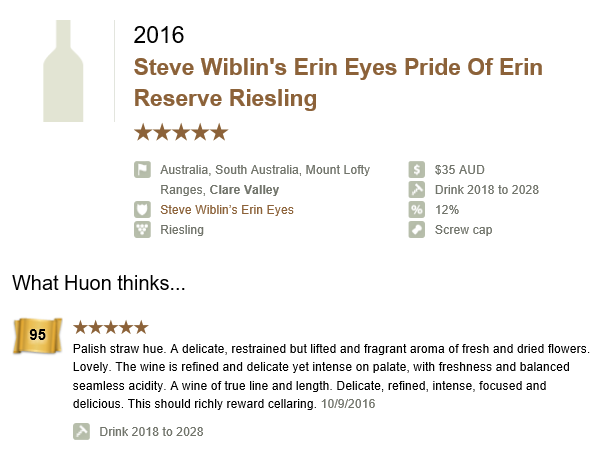 Winsor says ‘Wine industry veteran Steve Wiblin has gone through a very rough trot with illness recently but the quality of this new-release reserve riesling must bring a smile to his lips. 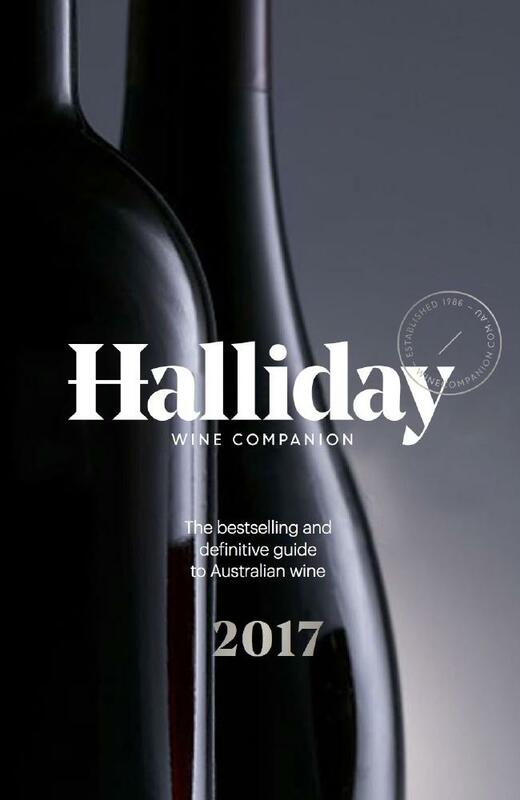 Made using fruit from a single vineyard at Penwortham, this is a glorious each way bet in that it is succulent and enticing in its youth with brisk citrus flavours and bracing acidity but has the classic Clare Valley structure to suggest it will cellar brilliantly for a decade or more. 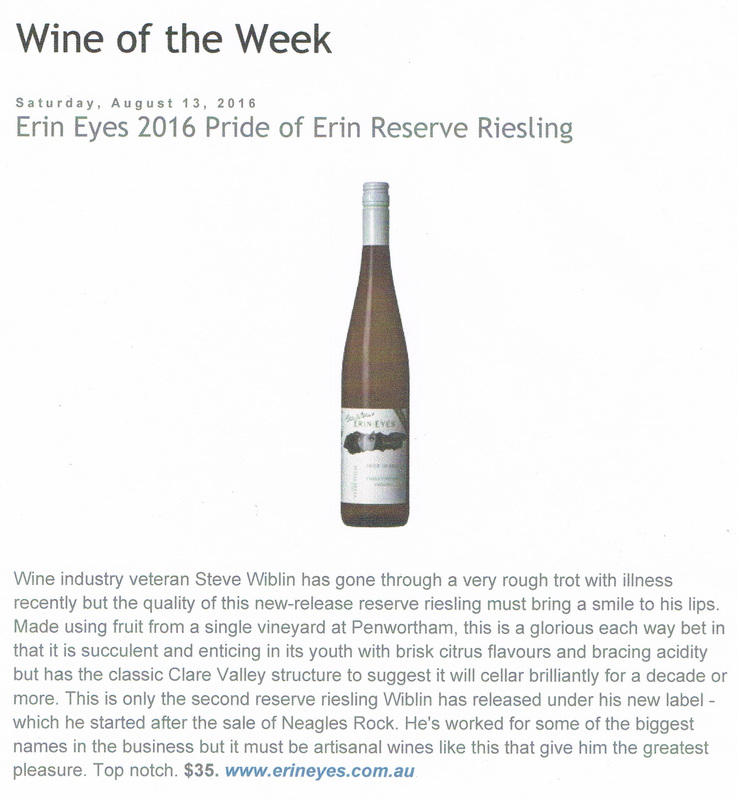 This is only the second reserve riesling Wiblin has released under his new label – which he started after the sale of Neagles Rock. He’s worked for some of the biggest names in the business but it must be artisanal wines like this that give him the greatest pleasure. Top notch. 2016 sees two new exciting Rieslings released for Erin Eyes Wines. 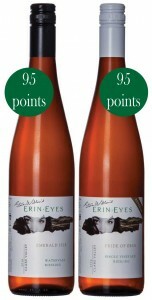 The ‘Pride of Erin’ Reserve Riesling and the ‘Emerald Isle’ Watervale Riesling.